If you visit here often you know I am a big fan of the spices. Big and bold flavors here, and usually with an International twist or two. Today it’s all about my Lebanese Zaatar Spice Blend, a spice blend you can put on just about anything savory for that pop of flavor. 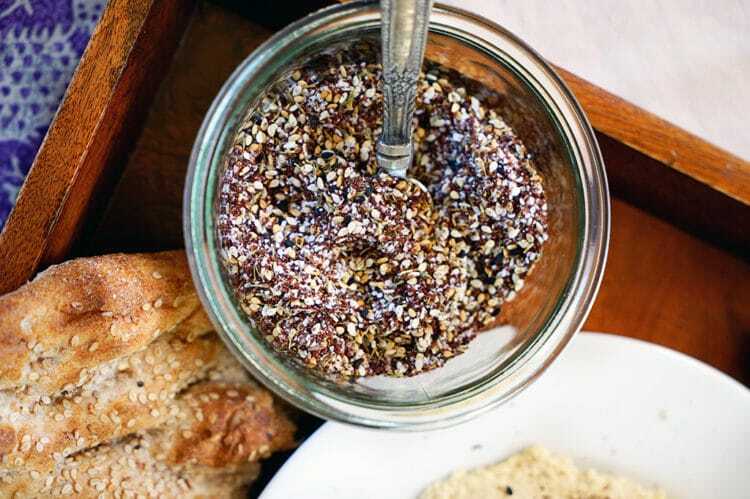 Zaatar is a fantastic, tangy, flavorful spice mix of ground sumac, thyme, sesame seeds and salt. I often add a bit of ground or toasted cumin seeds, but that’s optional. The perfect blend to anoint oiled bread, to be sprinkled on top of hummus, soups, salads and just about anything I can think of actually. I love it on steamed vegetables especially. 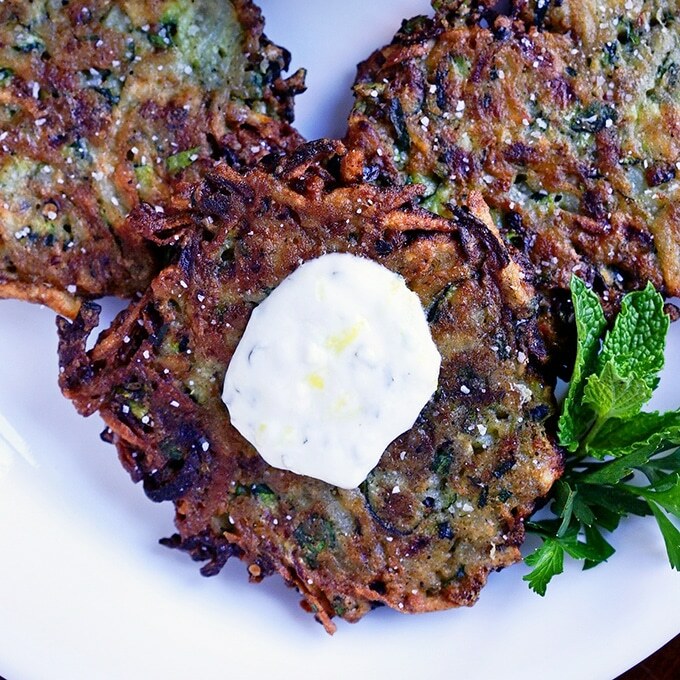 The other day I posted these amazing Zucchini Herb Fritters with Lemon Garlic Yogurt. Well today I am setting you up with a primo snack tray to serve guests. 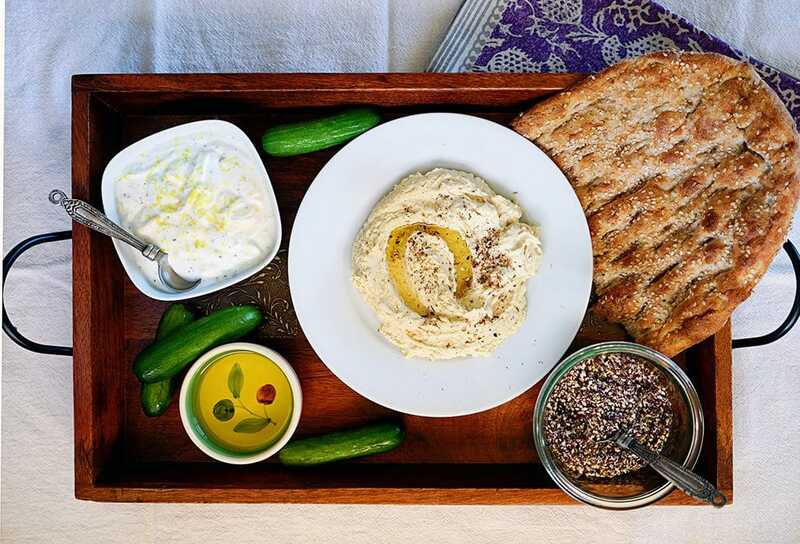 The mix includes the lemon garlic yogurt dipping sauce, olive oil, fresh Persian cucumbers, fresh made hummus and sesame bread. The star of this is the Zaatar. It’s lemony flavored, it’s a little salty, it has that rich, warm sesame and herbal notes from thyme. 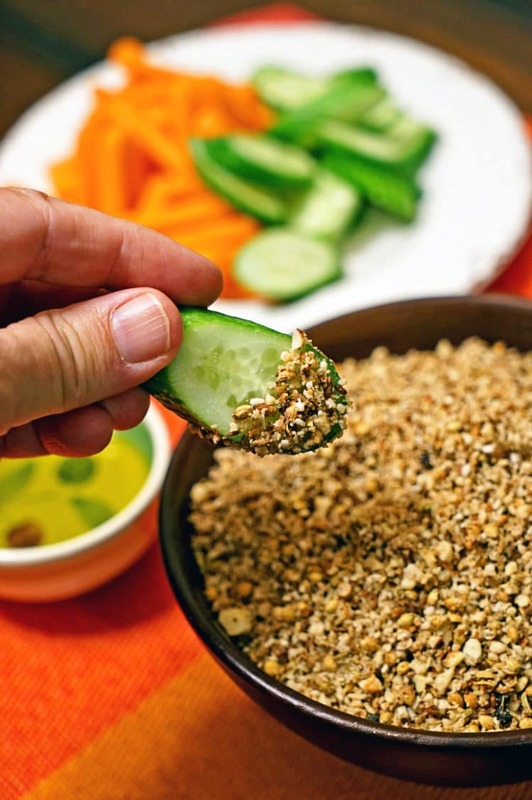 Different spice blends like my Moroccan Seven Spice Blend, Lebanese Spice Blend, Baharat Arabic Spice Blend and another that is great for dipping is my Dukkah Egyptian Spice Blend. I hope you give this and all the others a try! Enjoy. Feel free to serve it with breadsticks to dip in the oil and then the Zaatar. I also use chopped vegetables like carrots and celery. 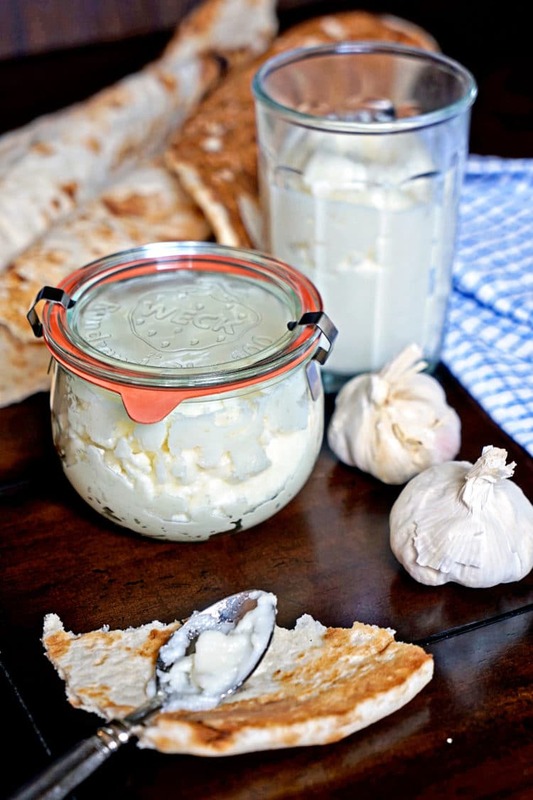 One dip in the yogurt then the Zaatar and in my mouth! 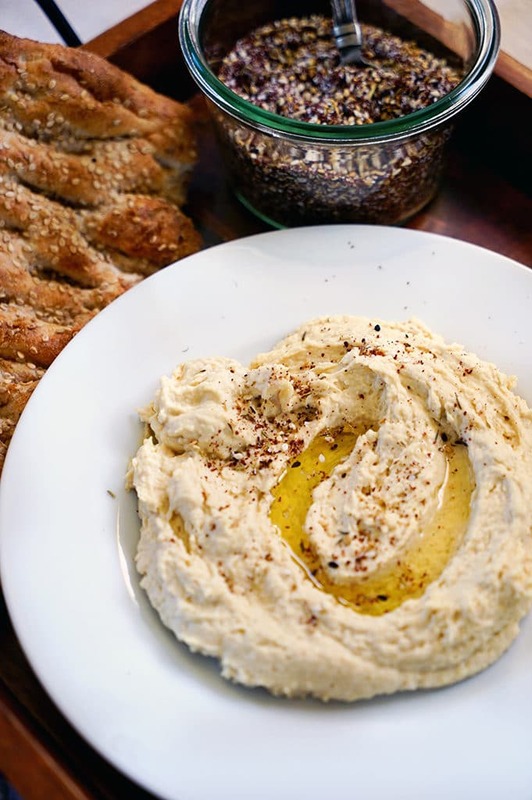 Sprinkled on top of the hummus, or whatever else you might think of like soups, this Zaatar adds another depth of flavor to whatever it touches. 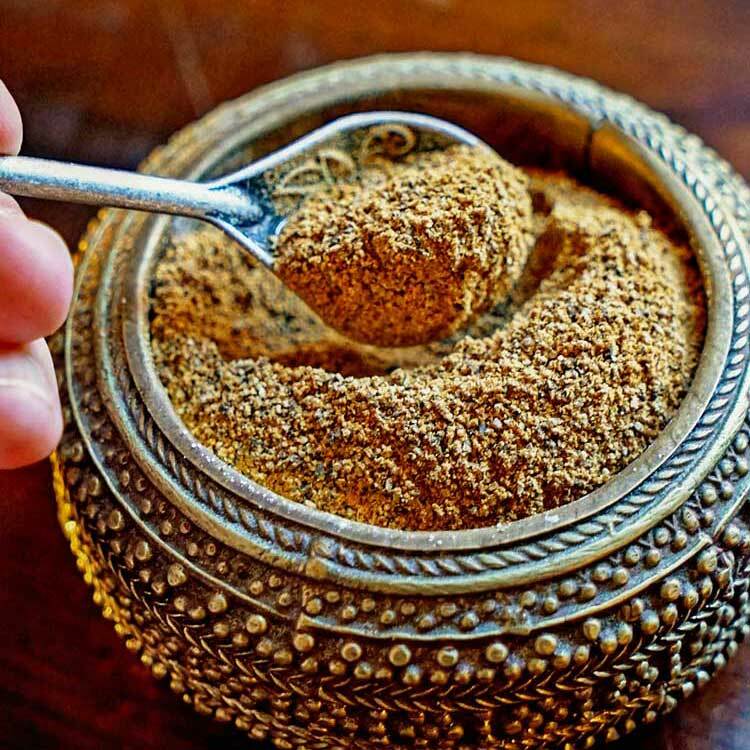 Lebanese Zaatar Spice Blend is a fantastic, tangy, flavorful spice mix of ground sumac, thyme, sesame seeds and salt. The perfect blend to anoint oiled bread and hummus. 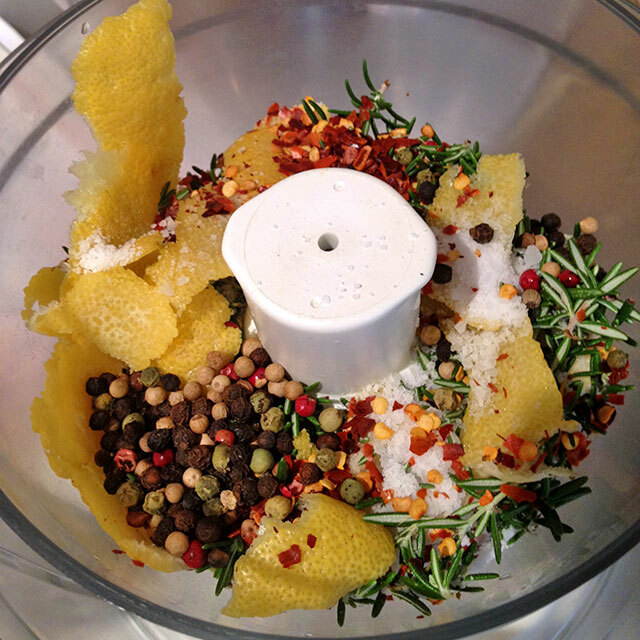 Place the spices in a bowl and mix thoroughly. Store in an airtight container. This makes 1 cup. Thanks for taking the time to come back and let me know Christina! 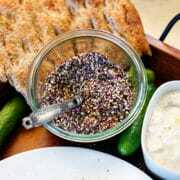 Hi Kevin, I love Zaatar and its nice to see that its very easy to make home made. Is there an alternative for the sumac, i don’t think we have it here in Ethiopia. Thanks! Hi and thank you Alice. I would zest some lemon in lieu of the sumac if unavailable. Wow, Ethiopia, so fun to connect with people from all over the world. Happy Holidays to you and yours. ? Halima I would love to get your mother’s spice recipes! I’ll send you an email today, thanks! I think those are some of the best pictures of Zaatar meals I have ever seen. I love making homemade Zaatar as well, so much so that I grow different types of plants in my garden that are referred to as Zaatar from around the world. 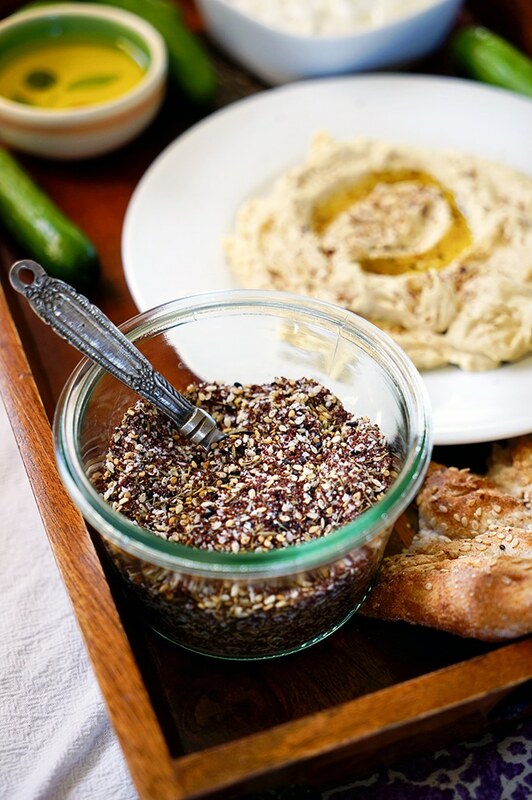 Zaatar is my absolute FAVORITE spice! I use it on everything — from roasted vegetables (I particularly love it on cauliflower and winter squash) to chicken and fish dishes. I’ve never tried making it myself though, but it seems so easy to do that I definitely will when I run out of it! 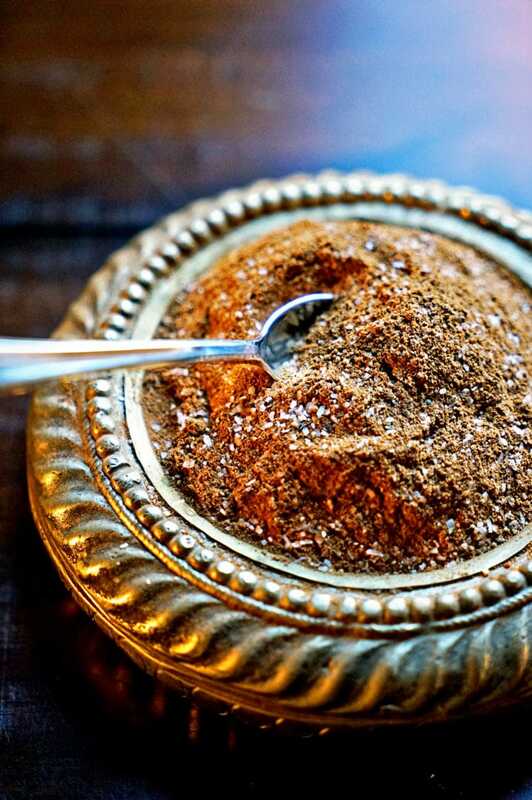 I love making spice mixes at home, especially when they’re pricey such as Zaatar. Thanks for the recipe my friend! Thanks Mike, I’ve noticed too how pricey they get and it’s so easy to make some small batches, store in an airtight container and you’re set. Well thymed indeed! Ha, you’re too funny. This is a great one and sorry for the late reply. Work has been crazy lately. 2 weeks, right? How exciting! 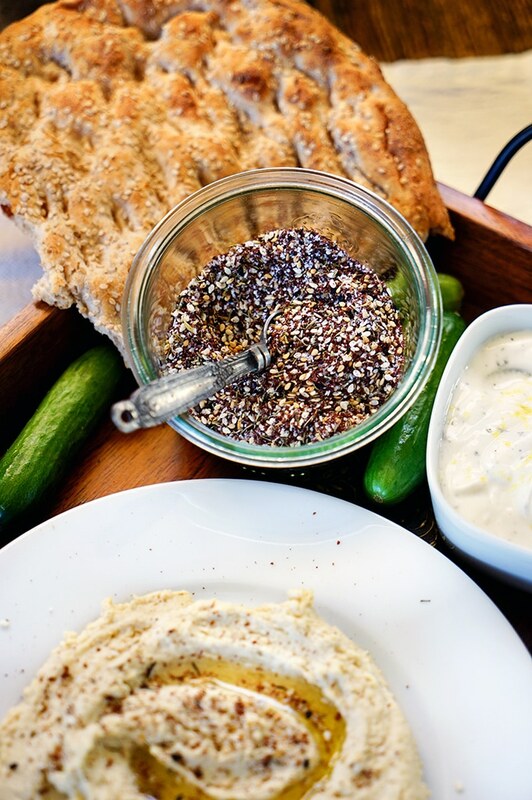 Ooh Za’atar, that’s impressive! Kevin what did you left for Arabic food bloggers to post?? Kidding! You have an exquisite taste! Thank you Farida. I loved those pancakes you posted the other day and YES, please make a post on that cheese! Haha Dorothy! I love dipping vegetables in it, so good or rolling dough in it prior to baking! A few years ago I first experienced zaatar as a seasoning on potato fries in a local Mediteranean restaurant. And as others have posted, it’s not easy to find so thank you (again) for posting the perfect recipe for one of my favorite spice blends. And oh my, your presentation and killer photos have me craving it NOW. Thanks again for yet another fabulous “Kevin” recipe. Cheers. 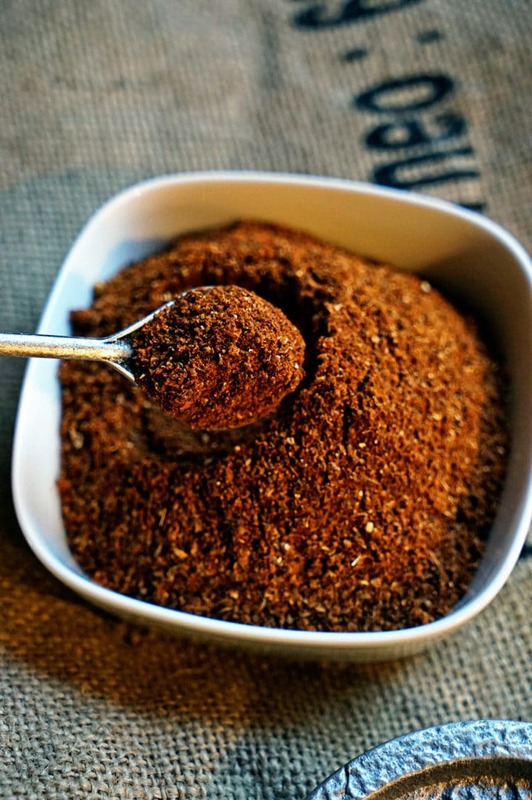 Do NOT stop sharing your spice blends on your site! They are unique and inspire us to try new things. PLUS the photos of the spices and ideas for application are amazing. Enjoy your weekend too. Can’t wait to see what’s next. KEVIN! I was literally thinking yesterday how I needed to either go to the spice store to get some of this or look up a recipe to make my own. Thank you! You’re awesome. Good minds in sync, right? So glad I could make your Sunday better! Funny, when I saw your comment I was thrown as I thought I had set this to post tomorrow and was all thrown off with the Daylight Saving time we have here today as well. Thanks Chrissy, have a great rest of the weekend.